In the world of fashion, green is the new black. The market for sustainable fashion has grown considerably in the 17 years since Stella McCartney first launched and proved that brands could be completely sustainable without losing fashion credibility. Consumers are increasingly demanding change because they are buying brands, not just for the product, but also, for what the product represents. The result is that the number of consumers that place sustainability as a major factor in their fashion choices has risen to nearly 60 percent, a marked change from previous decades. The fashion world is responding, and with A-listers like Duchess of Sussex leading the way with their clothing choices, more and more are designers looking to break the take-make-waste model and to make fashion circular. 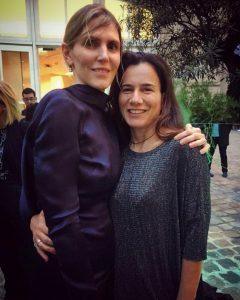 Today, many fashion houses like Gabriela Hearst are making more environmentally friendly practices a priority. 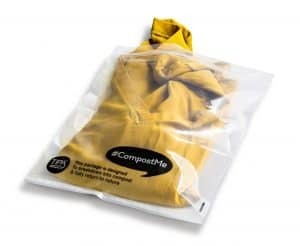 Younger DTC fashion brands have gone down a similar route, with Everlane pledging to eliminate all virgin plastics by 2021. At the recent WWD’s CEO Summit Eileen Fisher discussed what her company is doing to combat the more than 35 billion pounds of textiles that Americans are expected to throw away next year according to the Council for Textile Recycling. With the Renew brand the company buys back its old clothes and giving customers a $5 reward card, and then donates the clothing or turns the items into one-of-a-kind designs sold under the Renew label. The company also focusses on supply chain mapping to create a complete picture of how are their garments are made and to understand the impacts of production from fiber to factory. Pieces from Gabriela Hearst’s Fall/Winter 2018­ collection were delivered in TIPA Sustainable Packaging, making a statement that Hearst is truly leading the way in sustainability efforts. This fall Fashion for Good opened its Fashion for Good Experience in Amsterdam – an interactive museum outfitted with the latest technology. Targeted at those interested in fashion, innovation and sustainability, the Fashion for Good Experience is a fun, immersive and must-visit venue while in Amsterdam! 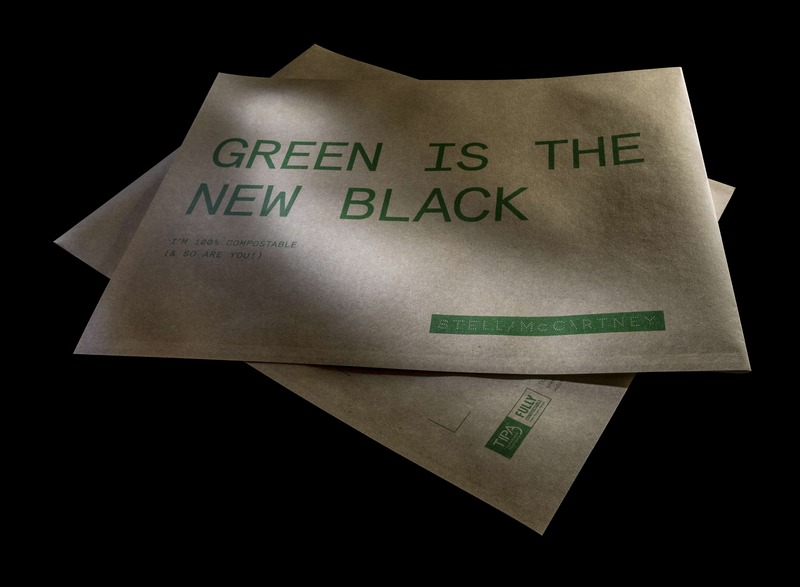 Through a personalized digital journey with an RFID-bracelet, visitors can learn about the history of good fashion, discover sustainable products like TIPA’s compostable packaging that is being used for garment bags by Gabriela Hearst, and explore fashion innovations of the future. 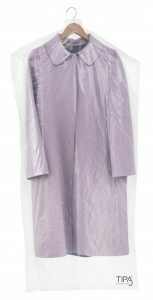 Today’s flexible plastic packaging that is used for garment bags is typically made up of several materials including impure polymers. These blended materials make recycling a challenge. Difficulty in recycling is one of the major reasons that of the 8.3 billion metric tons of plastic that have been produced, 6.3 billion metric tons has become plastic waste – of which only 9 percent has been recycled. Nearly 79 percent of plastic is accumulating in landfills and oceans as litter. At the United Nations Environment Assembly in March 2019, UN Environment will formally launch the UN Alliance on Sustainable Fashion to encourage the private sector, governments and non-governmental organizations to create an industry-wide push for action to reduce fashion’s negative social, economic and environmental impact, and turn it into a driver for the implementation of the Sustainable Development Goals. Across the United Nations, agencies are already working to make fashion more sustainable, from the Food and Agricultural Organization protecting arable land, to the Ethical Fashion Initiative set up by the International Trade Centre to the work of UN Environment in fostering sustainable manufacturing practices. Ahead of the meeting in March 2019, UN Environment is urging people to Think Beyond and Live Within. People are urged to join the debate on social media using #SolveDifferent to share their stories and see what others are doing to ensure a sustainable future for our planet. With the New Year within sight, #SolveDifferent and #MakeFashionCircular are two fine hashtags to head a New Year’s resolution list for more #SustainableFashion for our collective future on this beautiful blue planet we call home! 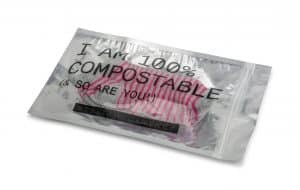 “I AM 100% COMPOSTABLE & SO ARE YOU” Stella McCartney’s TIPA zipper bag is so stylish with its catchy message and half-transparent, half-metallic design.